New Delhi: The Council for Scientific and Industrial Research’s Central Drug Research Institute (CSIR-CDRI) initiated the Popular Health Talk Series recently. In the presidential address of the program, Prof Tapas Kumar Kundu, Director, CSIR-CDRI informed about the objectives of this popular health talk series. He said that the institute will organize such popular lectures regularly by inviting eminent experts working in the field of healthcare so that awareness can be enhanced for healthcare. 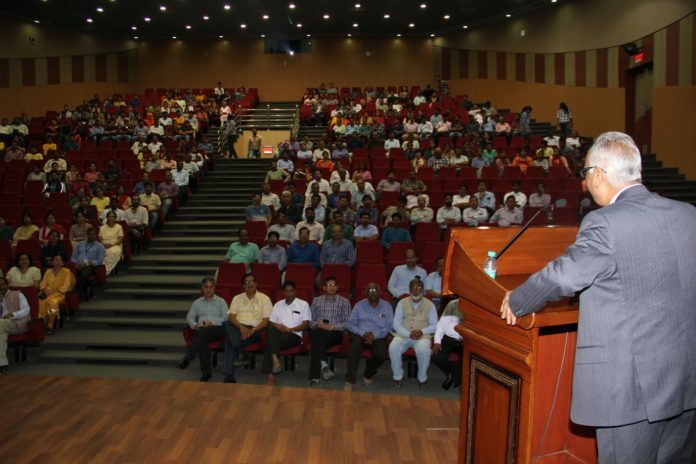 Along with that, he welcomed the chief guest of the program and introduced him to the audience. 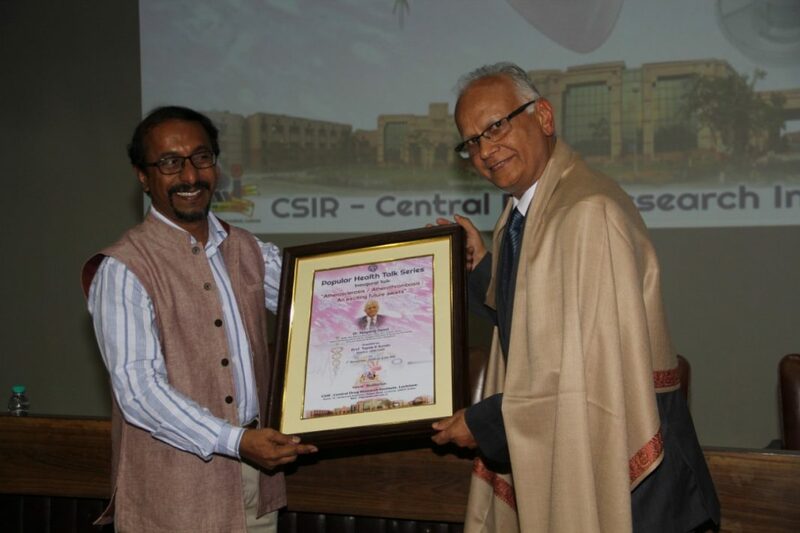 (L-R) Prof Tapas Kumar Kundu, Director, CSIR-CDRI with noted cardiologist, Dr Nagaraj Desai. Dr Nagaraj Desai is a distinguished adult interventional cardiologist with a special interest in coronary artery disease. Currently, he is designated Professor and Head of the Department of Cardiology at JSS Medical College and University, Mysore. He holds the concurrent appointment of Head, Cardiovascular and Thoracic Sciences at the recently-opened, multispecialty JSS Hospital. Dr Nagaraj Desai has been active in the field of medical education for over three decades. At his present workplace, he has been involved in training medical students, interns, postgraduates and postdoctoral students. His interest in public education has resulted in several public awareness campaigns and numerous presentations to members of various fraternities including service clubs such as Lions International, Rotary International, etc. Further, he has been credited with establishing the Karnataka Cardiology Academy for post-graduate teaching in 2008. He has extensive experience in most aspects of Cardiology, his main areas of clinical interest are adult cardiology, hypertension, coronary artery disease, ischaemic heart disease, and interventional cardiology. He bagged many prestigious fellowship and accreditation including, Fellow of the Indian College of Cardiology (FICC), Fellow of the American College of Cardiology (FACC), Fellow of the Asia-Pacific Society of Interventional Cardiology (FAPSIC), Fellow of the European Society of Cardiology (FESC) etc.